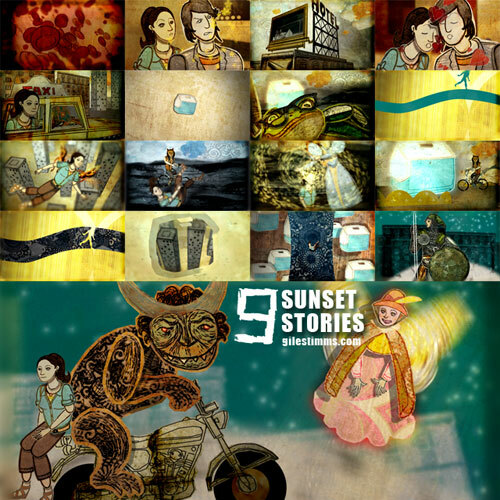 This is the animated end title sequence and animated sequences that I created for the 2012 film, Sunset Stories directed by Silas Howard and Ernesto Foronda. ‘Sunset Stories’ premiered at the 2012 SXSW Festival and stars Monique Curnen and Sung Kang, along with ‘Lost’s’ Harold Perrineau. Created with After Effects and Photoshop. 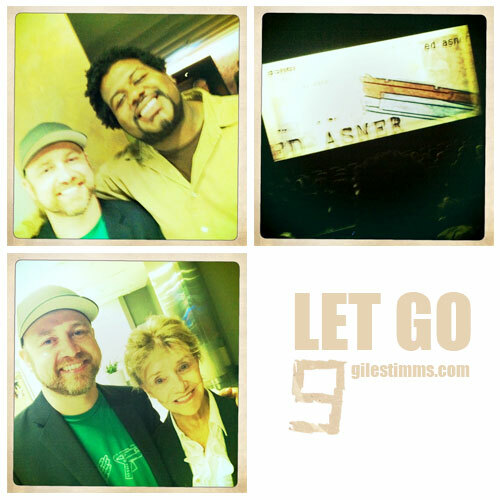 In 2011 I was really excited to create my first animated title sequence for the independent film, ‘Let Go,’ directed by Brian Jett. I also created nine animated time-lapse interstitials for the film. It was awesome working with Brian as a Director on the sequence as Brian gave me a lot of license within his vision for the sequences and his notes were very specific and spot on. For the nine animated time-lapse interstitials, Brian wanted the following scenes, evocative of Los Angeles: Fence, Suburban, Couch, Venice Lofts, Skyline, Freeway, Hockney House in the Hills, Santa Monica Pier and Ferris Wheel, Palm Trees. The interstitials were a lot of fun to create and they also allowed me to expand my After Effects skills while incorporating the following effects: tilt-shift effect, time-lapse effect, car lights and city lights. Probably my favorite sequence is the poolside sequence that is inspired by Hockney’s ‘A Bigger Splash.’ I went through a big Hockney phase when I started art college. With the time-lapse LA sequences I thought I would create very detailed environments in 3D in After Effects, complete with 3D buildings. I created the Venice Loft scene this way (the first scene I created), but for all the work setting up a 3D space built up of 3D buildings I decided that flatter buildings worked just as well when creating the environments. Above is an image of some of the props I built for the time-lapse LA sequences – I created lots of 2D prop elements to add visual variety to the urban environments, including, power poles/lines, ladders, aerials, bushes, flowers, plants, cars etc. I was able to attend the première in LA last summer and met the cast and crew, including Barbara Perry (wife of legendary animator Art Babbit) and Edward ‘Grapevine’ Fordham (photo above). ‘Let Go’ is a great romantic comedy starring, David Denman (from The Office), Gillian Jacobs (from Community), Ed Asner (yes, that Ed Asner :), and Kevin Hart (comedian). It’s available as a vod on both Amazon Prime and Netflix. 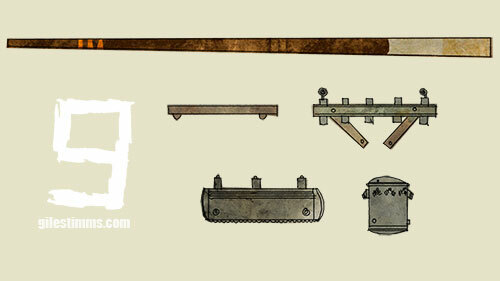 Dead All Along || Ceri Frost from Giles Timms on Vimeo. Sadly, I never had the money to submit Dead All Along to festivals, but I recently received a small grant to submit my animated films to festivals. So I’ve edited Dead All Along and have been submitting the film to festivals. 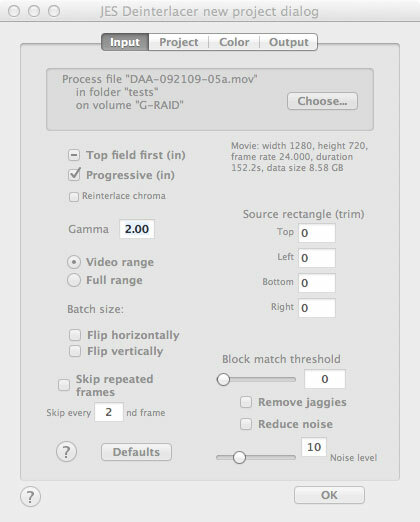 After getting FCP 7 installed and running, 7toX wasn’t able to export all the transitions/effects that I had in the original edit, so I ended up rendering the original FCP 7 file and imported the .mov into FCP X. 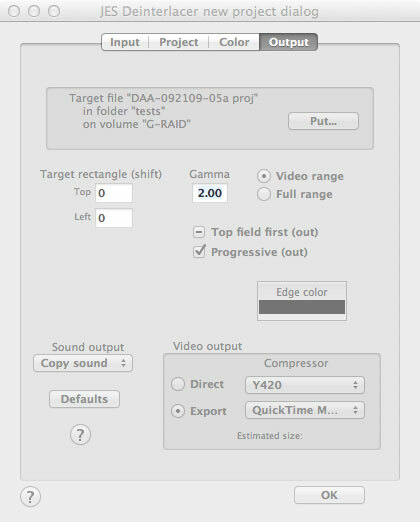 However, I could not get the legacy version of compressor to work and the render output from FCP 7 was…not good. The colors were all washed out. 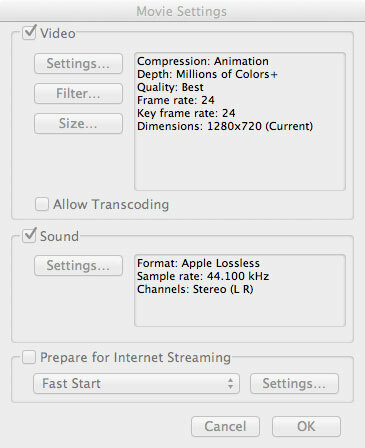 I tried and tried to get fiddle with the codec settings and installed x264, but no matter what I tried I could not get the colors right. I’m sure no one else would notice, but I couldn’t live with it. After more research I discovered JES-Deinterlace and was able to easily re-render my original Dead All Along file with the correct gamma settings so that I could get the color just right. 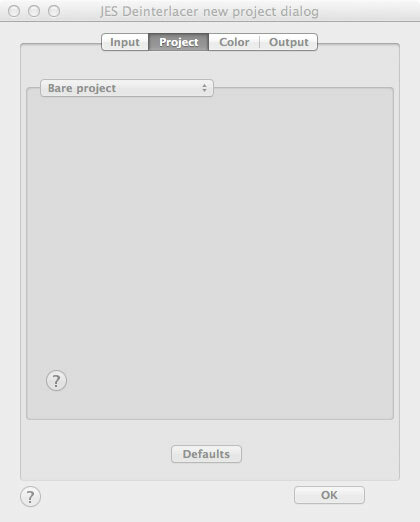 Oh joy :) JES-Deinterlace is a great tool. 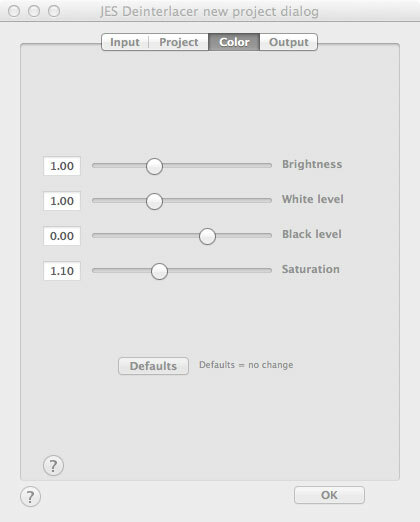 Below are the settings I used. A short film that documents our time this summer with our awesome Japanese exchange student, Yuu Kakehata. Yuu is a dance student from Tamagawa University. Combination of live action and pixilation, stopmotion and time-lapse. Filmed with a Nikon and Canon DSLR, edited in FCPX and AE. Music by Jamiroquai and John Lennon. Summer 2012. 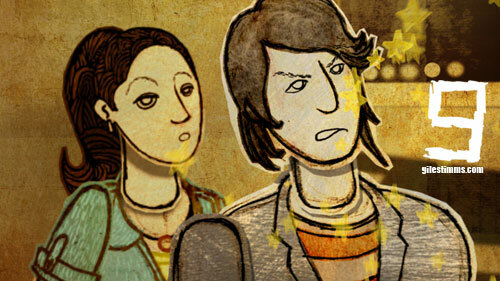 Lucky: Animated History Sequence from Giles Timms on Vimeo. Working on updating my reel. 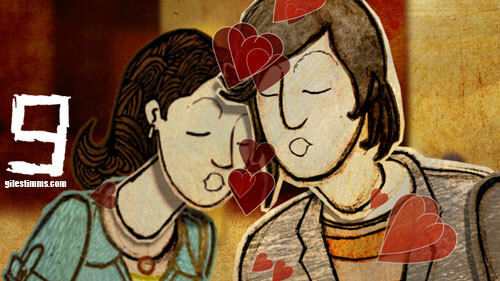 This is the history animated sequence I illustrated and animated for Jeffrey Blitz’s documentary, Lucky, from 2010. ‘Lucky’ premiered at the 2010 Sundance Film Festival, showcased on HBO’s summer of documentaries and is available on Netflix. Collaborated with Walter Robot on designing, illustrating and animating sequences for the documentary, ‘Lucky,’ directed by Academy Award nominated and Emmy Award winning Jeffrey Blitz. WIP color comp cut-out character for a freelance animation project. Hand-drawn and edited, textured and colored in Photoshop. 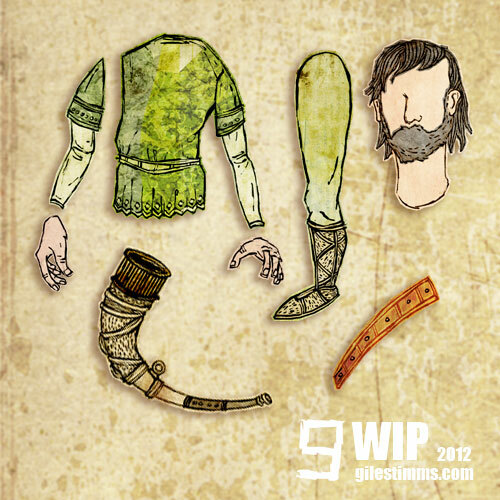 The character will be assembled and rigged in After Effects for cut-out style animation. 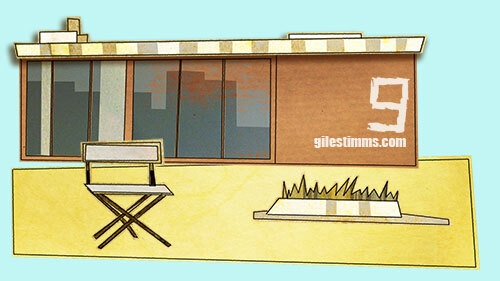 WIP drawings for a freelance animation project. The drawings will be edited, textured and colored in Photoshop and then assembled and rigged in After Effects for cut-out style animation. 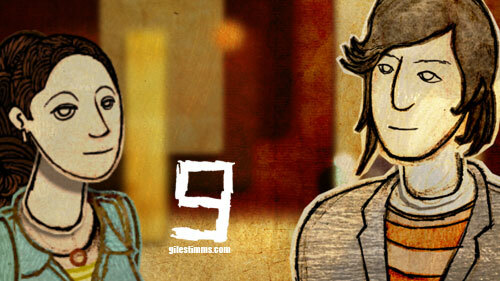 The above image is a still from an animated sequence I created for the film ‘Sunset Stories.’ This still image shows the two main stars of the film, Monique Curnen and Sung Kang. 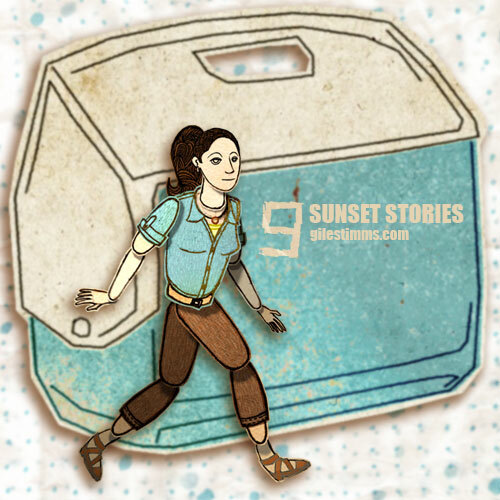 For ‘Sunset Stories’ I created animated end titles and animated sequences. Not all of the animated sequences made it into the final cut of the film, however, and the kiss scene and fight scene shown in this post were sadly cut from the film. Sunset Stories premiered at South-By-Southwest (SXSW) on March 10th and is also playing today, Tuesday March 13th and tomorrow, Wednesday March 14th. 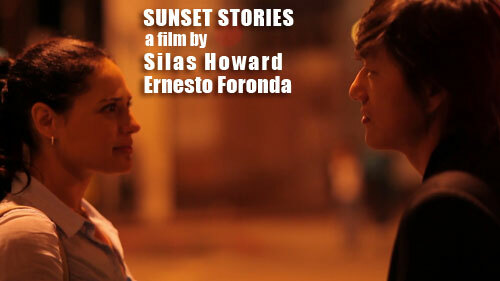 ‘Sunset Stories’ is directed by Silas Howard and Ernesto Foronda. 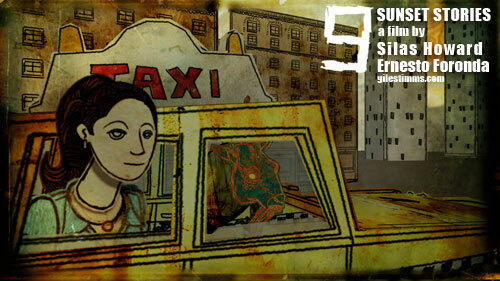 My animated end title sequence and animated sequences for the film Sunset Stories is screening today, Saturday March 10th, at South-By-Southwest (SXSW). ‘Sunset Stories’ is a film about an OCD nurse who runs into her past while on route to pick up an organ transplant and the 24-hour journey she goes on to find all that she lost. The film is directed by Silas Howard and Ernesto Foronda. ‘Sunset Stories’ stars Monique Curnen and Sung Kang, along with ‘Lost’s’ Harold Perrineau. A collection of still images rendered from my animated end title sequence for the film ‘Sunset Stories,’ directed by Silas Howard and Ernesto Foronda, 2012. Sunset Stories‘ stars Monique Curnen and Sung Kang with a cameo by Kevin Bacon. I designed, illustrated and animated the end title sequence using Photoshop, After Effects and hand drawn characters and props. 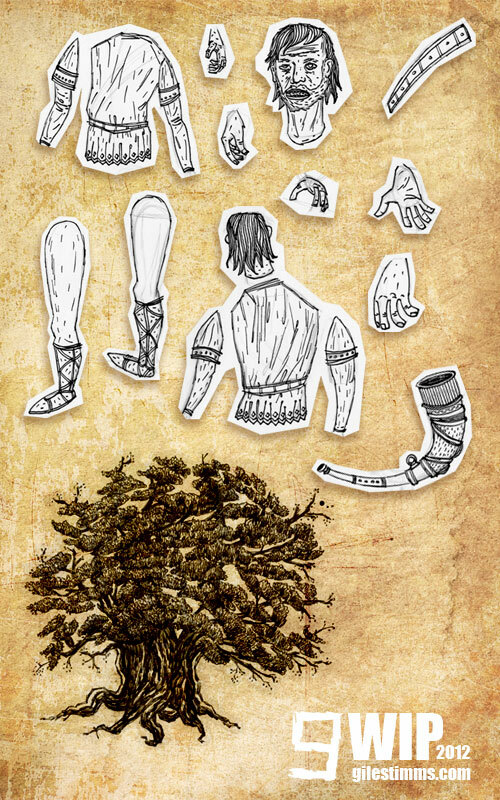 May journeys through a fairy-tale environment, and encounters the cast of characters as fairytale archetypes. Hidden within the environment and sometimes a part of the environment itself, the cooler is always just out of reach.